Rock City will amaze you, it's in our nature. Only six miles from downtown Chattanooga, Rock City is 1700 feet above sea level, with a 100-foot waterfall that cascades down the mountain, and the famous Swing-A-Long bridge that spans nearly 200 feet. 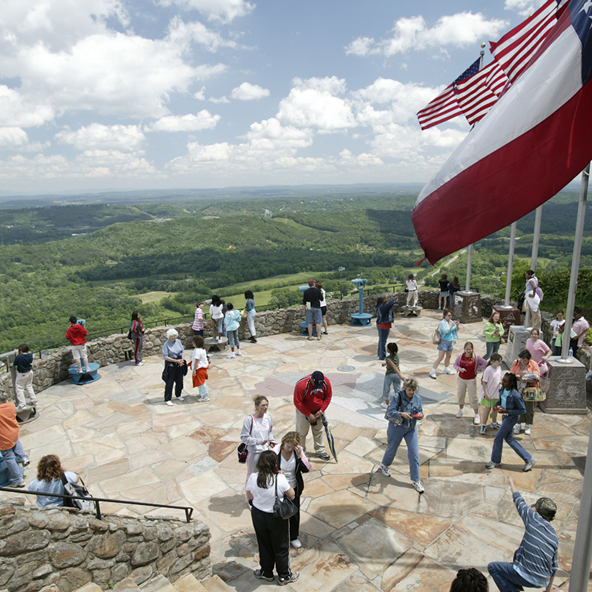 This self guided tour along the brow of Lookout Mountain gives visitors a birds-eye view from high atop Lookout Mountain. 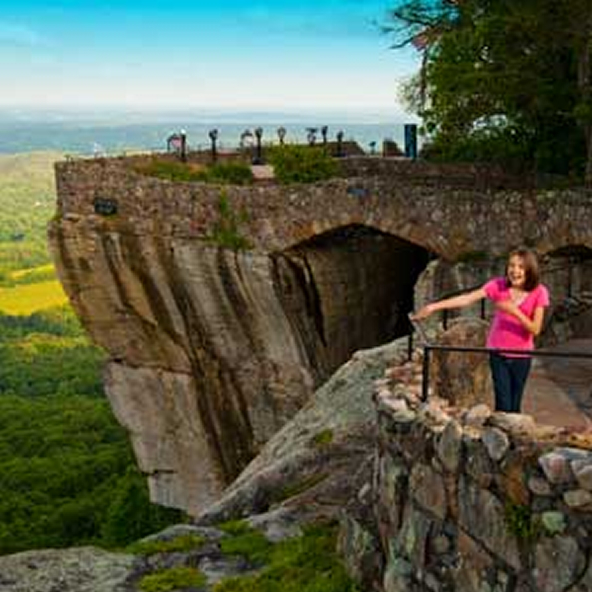 Some of Rock City's other features include the climbing wall at Lover's Leap where you can "See Seven States," the birds of prey shows, Café 7 Dining on the terraces at Lover's Leap, and the Fairyland Caverns. In addition, Rock City hosts numerous special events and festivals year round. 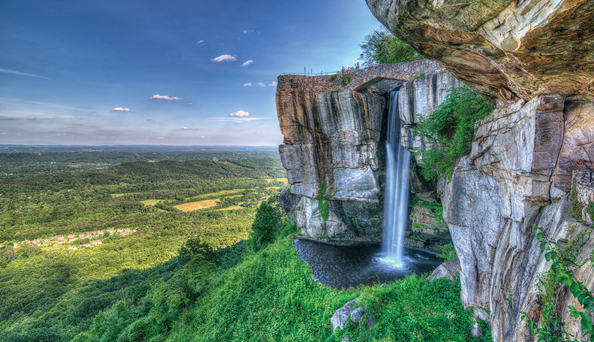 Rock City's Lovers Leap is the iconic feature that has brought generations of travelers up Lookout Mountain. 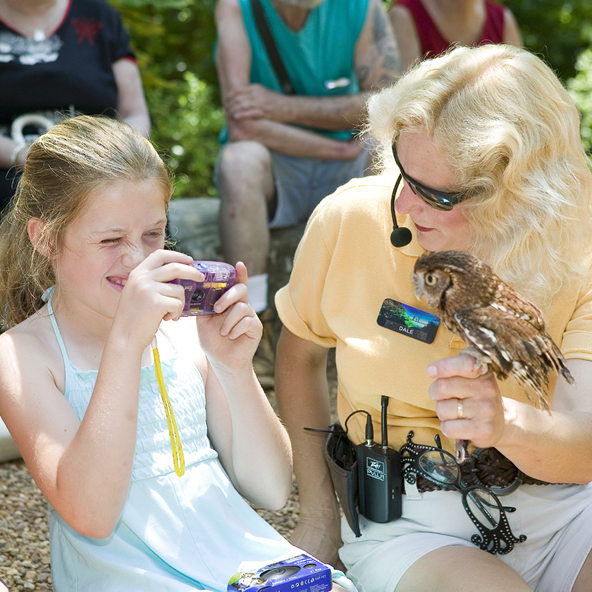 The Rock City Raptors' show gets you beak-to-beak with several birds of prey. Offered seasonally. 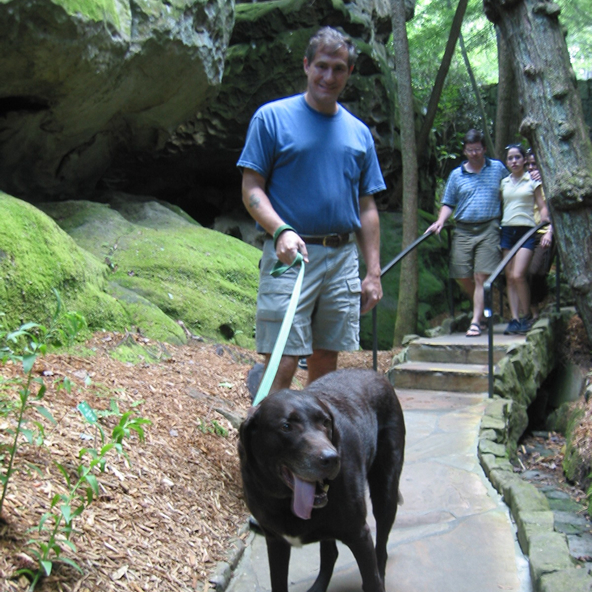 Even your four-legged friends enjoy Rock City's natural environment and trails. The 7 States Flag Court at Rock City highlights the states that can be seen from this legendary vantage point. Daytime tour Closed Christmas Day.